Coats Moon Thread Multipack	There are 3 products. 1 pack of Coats Moon Thread 1000 yards - The pack contains 50 threads with 40 in an assortment of colours and 5 Black and 5 White. The picture is just an example of the colours which may come in the pack. Colour and description is only for illustrative purposes. Colours may not be accurate in some browsers. 1 * Prym Overlocker Threader (611965). Extra long for machine threading. 1 * Moon 5000m Multipack. Pack contains 10 reels of assorted colours. No colour choice. 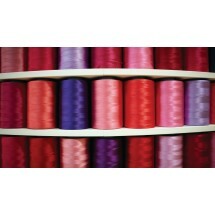 100% polyester thread for machine sewing. 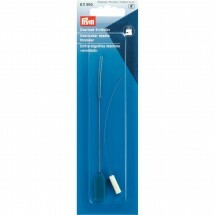 Equivalent to £3.00 each (£3.60 inc VAT). Pack may contain some Superstitch while stock lasts.